Control the world, one story at a time. Conspire is a hidden-role storytelling game. Players delve into any moment of conflict, real or fake, and populate the scene with shady figures. They secretly assign objectives to these in-world characters and shuffle the roles amongst themselves. Everyone draws a role to inhabit and acts them out, not knowing who any of the others are or what they are trying to accomplish. What follows is an intense tale of bluffing, brokering deals, and shaping the very universe to your whims. Upset the powerful. Seize the power. Buy Conspire. Leave no trace of your whereabouts with this digital version of Conspire. This PDF lets you be one with the game. Expand your metaphysical consciousness today. 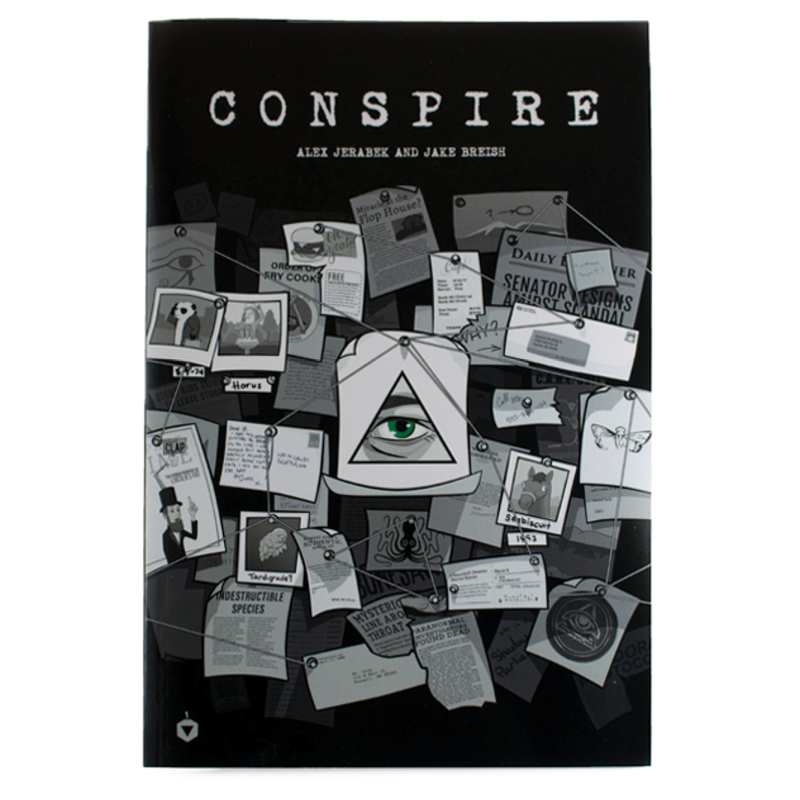 Anyone with a physical copy of Conspire can request a PDF version for free. We are benevolent overlords.